Additional Info: CHECK OUT OUR VIDEO TOUR & PHOTOS OF OUR VAN ON OUR FACEBOOK PAGE; 'CAYTON BAY HOLIDAY RETREATS’ . 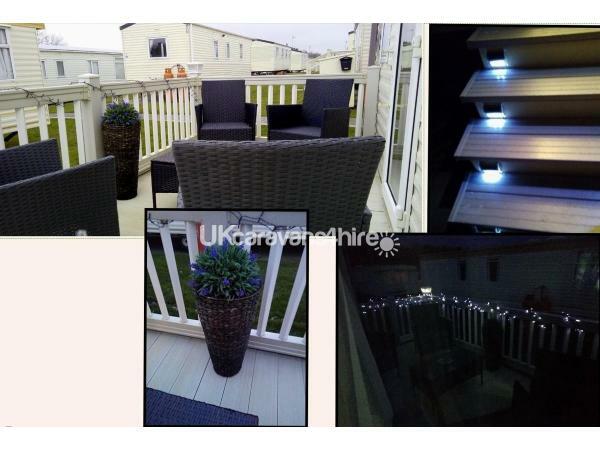 Thank you for looking at our 6 Berth Holiday Home Caravan here in Cayton Bay. Whether it’s a quiet break or fun-packed holiday you are looking for, Cayton Bay is the place to spend it.Our Gold Grade Caravan is spacious, stylish and has high quality fixtures and fittings. It provides everything you need & has been designed with your comfort in mind.Usage Terms Arrival time is 3pm on start of holiday and departure time is 10.00am at end of holiday. Booking Terms Bookings will be on a first come first served basis.A non-refundable deposit of £50 is required to book/secure a holiday/date.Please note a further £50 non-refundable security bond is also required upon final balance/payment which is returnable at the end of your holiday as long as caravan is left as found. The balance including the refundable security bond must be paid in full by at least 4 weeks prior to your holiday start date. Or we can arrange a Payment Plan to help spread the costs ready for your holiday. Please note that if full payment isn't made by the date required the holiday will be cancelled and any money already paid retained.All breakages/damage must be paid for. The cleaning team (which inspect the property on each guest’s departure) word is final and not negotiable.The owner reserves the right to withdraw from the booking agreement however will provide as much notice as practicable beforehand.No ALL MALE or ALL FEMALE parties.PETS BY APPROVAL - PETS MUST BE KEPT UNDER CONTROL AT ALL TIMES. 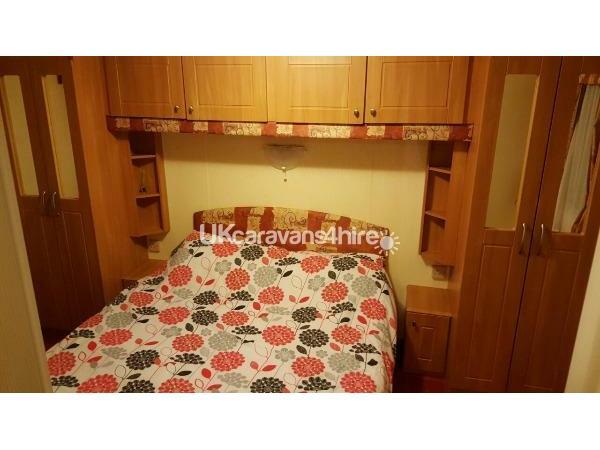 (Max of two small house trained, non-chewing dogs are allowed).You must accurately list details of the pets you wish to take to the caravan at time of quotation booking. Failure to disclose this information beforehand will result in your bond being retained and possible cancellation of your holiday with immediate effect.You will be charged for any damage to the caravan and you may your holiday may be terminated in the event of any disruption or other site guests.Our Caravan is fully equipped and contains pots and pans, kitchen utensils, plates etc, microwave, toaster and a cooker. In the lounge you will find a colour TV with a huge variety of films and a selection of Board games for both adults and children alike and a PS2 gaming console and games. Luxuries: Fire, DVD player, Tea, Coffee, Sugar, Liquid Soap, Washing -Up Liquid.General: Gas Central heating, TV Standard: Kettle, Toaster, Iron, Hair dryer Utilities: Cooker, Microwave, Fridge Furniture: Double Beds (1), Single beds (2) Travel Cots (1), Fold-Out Lounge Bed for ½ (1), Dining Table & seats for 4, Lounge seats for 8+Linen: Linen Bedding provided & Made, Towels NOT PROVIDED Outdoors: Balcony Access: Ample Bay Parking 20 metres away. 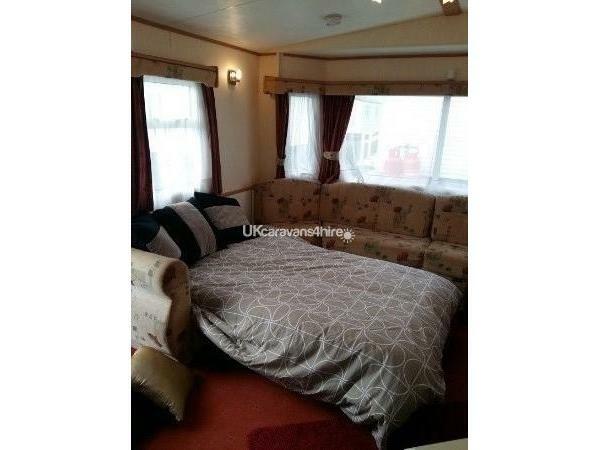 Path goes all the way around to the side of the Caravan. ***Please note prices DO NOT include passes - Leisure passes can be bought from Reception and the fee is for the WHOLE Caravan Party NOT per person. Please enquire regarding the costs as these at reception can vary subject to the seasonal holidays***. (2017 Prices for a week £44 & £59 off/on Season and £30 & £40 for a 3-4 Night Stay). (Peak = 7th April – 22nd April & 26th May – 8th September. All other dates are Off Peak).This pass entitles you to free entry and use of all the on-site facilities and events.All rooms have Gas Central Heating. 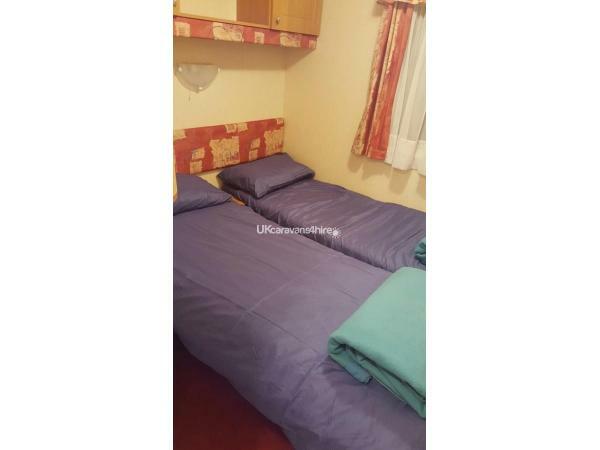 The main bedroom consists of a double bed, dressing table and ample wardrobe and cupboard space.The other bedroom consists of two single beds that can be made in to double beds if required. There is also cupboard space for storage. Outside there is a veranda which get the sun all day in the summer. Guests are responsible for the condition of the caravan and the furniture and fittings therein. 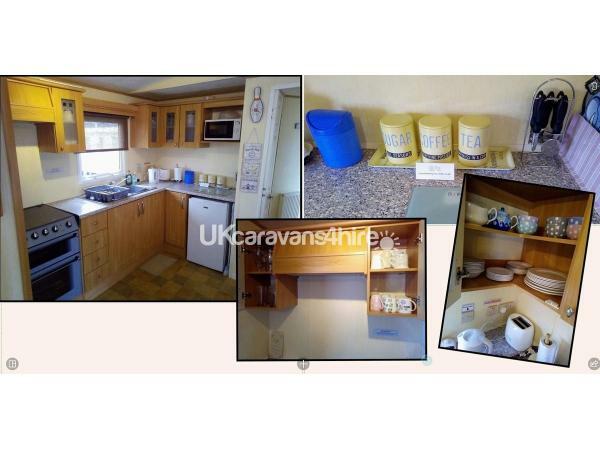 Whilst accepting that the caravan is cleaned between ‘lets’, the guest shall leave the caravan in the same state of cleanliness and general order in which it was found.Terms & Conditions Cancellations We really hope you don’t end up cancelling your holiday. But if you do, here’s what you’ll get back with us if you’d paid for your holiday in full:For bookings cancelled via email/phone more than 4 weeks prior to your holiday start date then you will forfeit your deposit but we will refund all other money paid.For bookings cancelled less than 4 weeks prior to your holiday start date then you will forfeit your full holiday cost.How to cancel If you wish to cancel your holiday you must notify us via email. The date of cancellation is the date we receive your email. To ensure delivery we recommend all emailed cancellations are sent with a delivery and read report attached. We will not be held responsible for unreceived emails.Even though we’ll do all we can to give you a fantastic holiday, things do sometimes go wrong. Here’s what you need to do if your experience wasn't what you expected:If there’s something wrong with your accommodation email us straightaway so we can try to put things right. babswp@gmail.com Our Service Charter We’re always working hard to make sure everything is as you’d expect when you’re on holiday with us. In the unfortunate event that you have an issue, we promise to resolve it as quickly as we can. If you have an emergency issue such as loss of electricity, gas or water, we’ll work with Park Resorts to make sure your services are restored as soon as possible. (Unfortunately problems of this nature caused by external suppliers or regional outages are out of our control and won’t be subject to our refund policy). If we’re not able to fix an emergency issue within the time promised (within 24 hours), we will reimburse you £30 from the cost of your holiday. If you arrive at your accommodation and find any of the following essential issues; cleanliness issues with the inventory (such as plates and cutlery), carpets, bedding, upholstery or the bathroom, kitchen, bedroom or living areas; problems with your boiler, cooker, fire, toilet, TV or shower we will again try to fix it within 24-36 hours. If we’re not able to fix an essential issue within the time promised, we will reimburse you £25 from the cost of your holiday. If things are going to take a little longer, we’ll try our best to accommodate your needs.Cutting your holiday short?We hope you’ll have such a great time at our holiday home that you don’t want to leave. But if you do end up going home early, we won’t normally offer you a refund other than the reimbursements stated in our Service Charter Section if we have not been able to fix an issue in the promised time. Refunds If we refund you in line with the terms below, we’ll return your money in the same way you made your original payment. Smoking There’s no smoking policy including vaporisers, e-cigarettes and tobacco in any of our holiday homes. And we do our best to make sure all guests do no smoke in these areas. Pets on the Park We welcome well-trained small dogs in our holiday home. Up to 2 pets are welcome in this pet-friendly accommodation. Please keep your dog on a lead and make sure a responsible adult is looking after it. Please bear in mind that you won’t be able to take your pet into the main entertainment venues, restaurants and public areas. Please clean up after you dog and do not allow the pets to climb on the furniture or beds. If you leave something behind Let us know as soon as you realise you’ve left something behind. We’ll do all we can to find it, although we’re not liable if this isn’t possible or if it’s damaged. When we find it we’ll return it to you, but you will have to cover the postage costs.Personal belongings We hope you will have no cause for concern during your holiday but guests remain responsible for looking after their own belongings. Please remember to secure any vehicles or bicycles and try not to leave any valuable items on display. If you are bringing anything valuable on holiday you should check it is adequately covered by your insurance. We cannot accept any liability for loss or damage to your belongings.Check-out time Check-out time is 10am. Please remember to return the keys to the safe and always leave the holiday home looking good.Damages (oh dear)We hope you don’t have any mishaps while you’re with us. But if your accommodation is damaged by you or someone in your party during your stay, we have the right to recover the cost of this from you, including any extra cleaning costs. And if there’s an emergency we can come into your accommodation without warning.Our promises to you 1. We’ll do our best to give you and the other people in your party a great holiday.2. We’ll do our best to give you the holiday we’ve described in our advert, on our website/page.3. We’ll do everything we can to prevent things going wrong.Your promises to us 1.You’ll tell us who’s coming with you to our holiday home and you’ll only let the people on the booking confirmation into the park.2. You’ll look after our holiday accommodation and facilities so that other people can enjoy them after you. And if you cause any damage, you’ll tell our us straight away so we can sort it out.3. You won’t spoil things for other guests by being loud, antisocial or a pain in the neck.4. You – and everyone who comes with you – promise not to break any of our terms and conditions. If you do, we’ll ask all of you to leave the caravan immediately. No ands, ifs or buts. And no refunds. CHECK OUT OUR VIDEO TOUR & PHOTOS OF OUR VAN ON OUR FACEBOOK PAGE 'CAYTON BAY HOLIDAY RETREATS' !!! 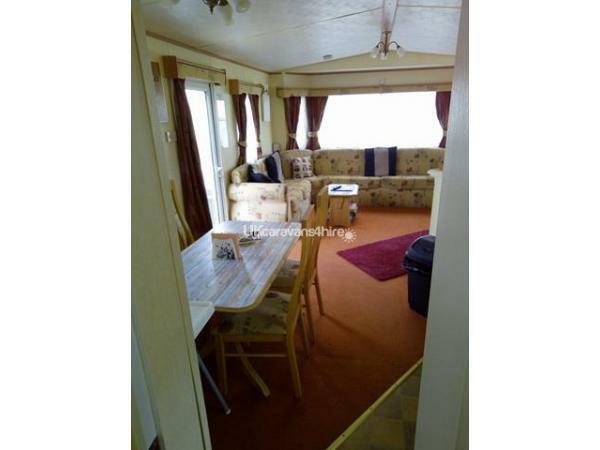 Thank you for looking at our 6 Berth Holiday Home Caravan here in Cayton Bay. We’re happy to answer any questions you may have and aim to respond within 24 hours. In the meantime, please feel free to browse the availability calendar below, or contact us via email or text if you prefer an alternative date. We update our availability calendar on our Holiday Lettings advert regularly, so you can double check to see if the dates you’re looking for are available. A non-refundable deposit of £50 is required to book/secure a holiday/date. Please note a further £50 non-refundable security bond is also required upon final payment which is returnable at the end of your holiday as long as caravan is left as found. The balance including the refundable security bond must be paid in full by at least 4 weeks prior to your holiday start date. Or we can arrange a Payment Plan to help spread the costs ready for your holiday. Please note that if full payment isn't made by the date required the holiday will be cancelled and any money already paid retained. Arrival time is 3pm on start of holiday and departure time is 10.00am at end of holiday. All Gas & Electricity is included. N.B: ALL Bedding is provided but please provide your own towels. Situated near the seaside resort of Scarborough in North Yorkshire, Cayton Bay is an all action Holiday Park. The kids will go wild for the indoor Water-world Fun Pool with water-jets, slides, fountains and flume. Outside activities include an all-weather multi-sports court, an adventure playground, volleyball and basketball, plus a crazy golf course to keep the whole family happy. In the evening you can enjoy the brilliant cabaret, discos, dancing and lots more in The Oasis Showbar. As well as caravan holidays, they also offer camping breaks, all of which are a stones throw from the popular seaside town of Scarborough. Just 4 miles from Scarborough where you can get the bus to lots of destinations including. Goathland (Heartbeat) Whitby Pickering (Steam train). Book your perfect break away in our warm and cosy double-glazed static caravan with multi-room heating. No reviews found. If you have recently stayed in this holiday home please leave a review, it only takes a few moments and will really help future guests when they are searching for holiday accommodation at Cayton Bay.